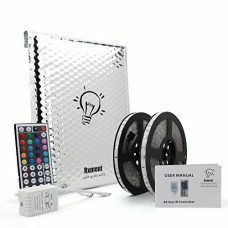 Easy installation and flexible operation. With 3M adhesive tape back, the light tape can be affixed on any dry and flat surface easily. In slim and soft shape, you can bend it end-to-end, angled or in continuous rows. With IC-chip per 3 LEDs, you can select the length of lighting: 2M 4M or any others, just choose the length you need. 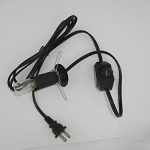 Besides, IC-Chip offers more dynamic changing modes, such as: water flow, horse race, flutter, etc. 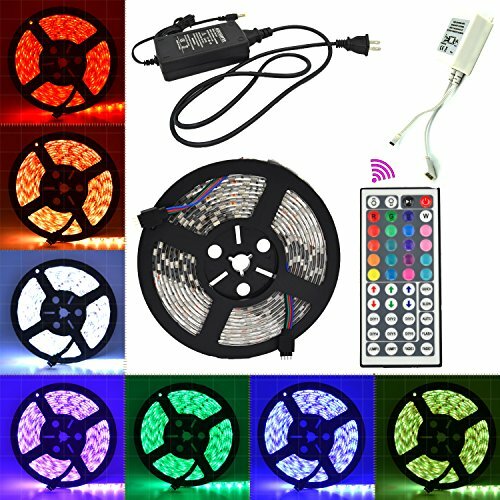 It’s more gorgeous and practical than ordinary RGB strip light. Cuttable and linkable. 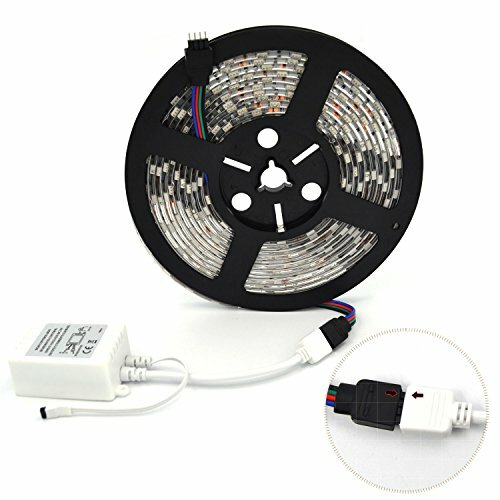 With total length of 5M, it can be cut every 3 LEDs without damaging the rest strips, ideal for your DIY decoration. 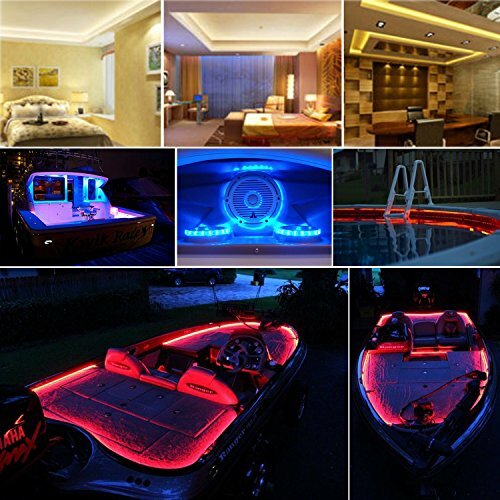 This strip lights are equipped with IC-chip per 3 LEDs, so it can offer more functions than ordinary RGB strip light. 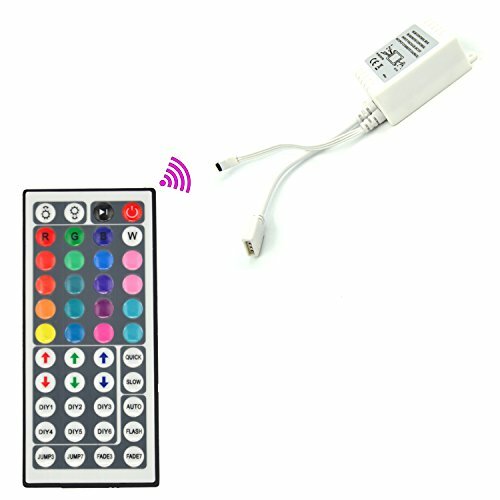 1.Multi-colors light up in one strip light simultaneously, for colorful decoration, one strip lighting is enough. 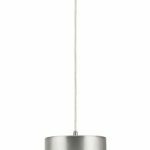 2.An IC-chip per 3 LEDs as a group, you can select any quantity of groups for lighting according to your needs. 3.IC-Chip offers more dynamic changing modes, such as: water flow, horse race, flutter, trail, etc, it’s more gorgeous and wonderful. The strip is self-adhesive with double-sided tape, its 3M adhesive tape backing can be affixed on any dry and flat surface. Installation can be done in minutes without experience required. Note: When installing, please carefully remove the adhesive tape at the beginning joint portion, where the adhesiveness may be reduced due to the air-dry for a long time. 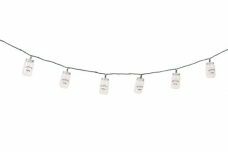 The LED strip is cuttable and linkable. It can be cut every 3 LEDs along the cutting marks, without damaging the rest strips. After cut, you can also connect them again by using an extension cable or a strip connector. 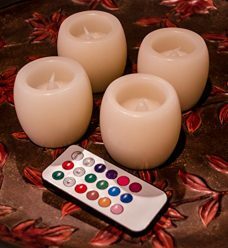 Using your imagination and idea to create a perfect DIY decoration. 1.Extension cable or strip connector for reconnection are both not included in the package. 2.When you connect the parts of strips, do not connect them more than 5M. 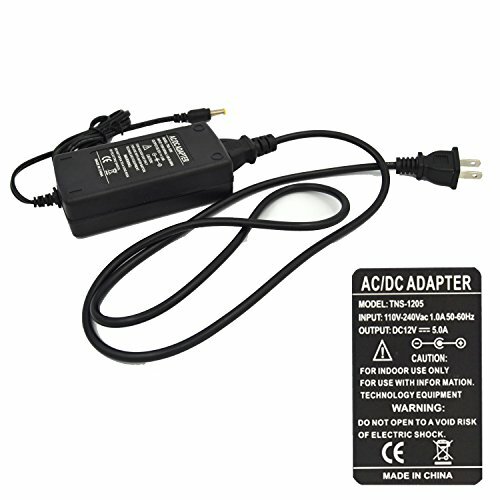 3.Use ONLY the supplied AC power adapter. Waterproof IP65, perfect for indoor and outdoor use: Home, Club, Bar, Show Room; Garden, Boat, Amusement park and so on.